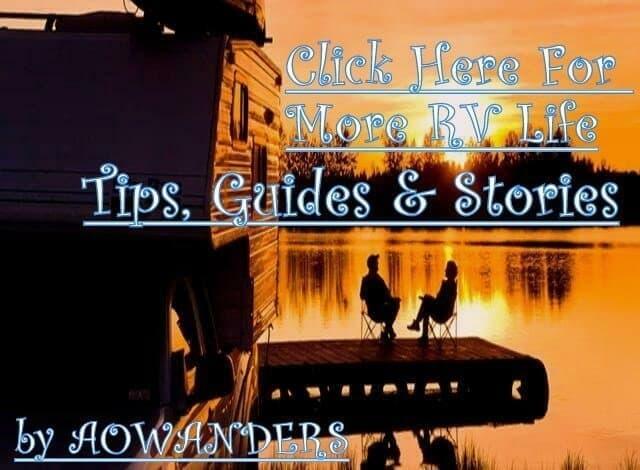 RV HOOKUPS UNDER $200/Month ~ 6 AMAZING Resources To Find Cheap RV HOOKUPS! Let’s talk camper tie downs for a moment, and unfortunately, there’s no variation of the word camper tie downs. So this is kind of a tough read, but informative. 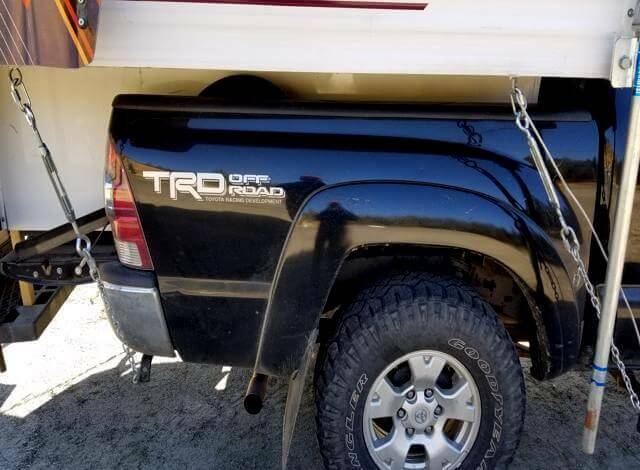 This last summer I bought a short bed truck camper and found out camper tie downs and frame mounted anchor points for truck tie downs would cost more than the cabover camper I purchased. 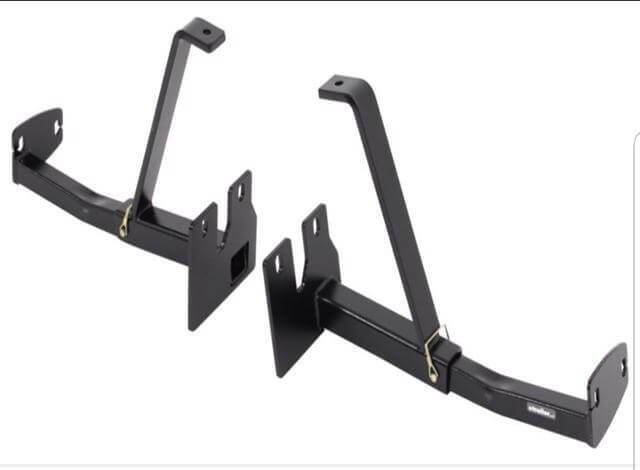 Every attempt at finding cheap camper tie downs ended with a website urging me to purchase Happijac camper tie downs or Torklift frame mounted truck camper tie downs. Each day I started with a new energy hoping to find cheap truck camper tie downs. 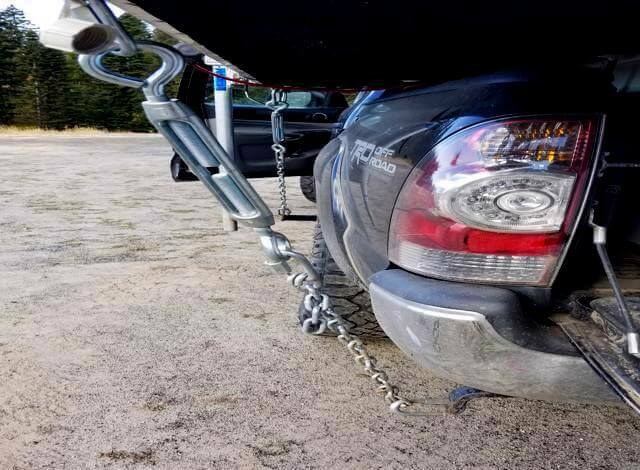 Mainly because I didn’t have $1,500 for truck tie downs and frame mounted anchor points, but I couldn’t find a cheaper alternative. Day by day the frustration grew, and finally, I decided to make my own truck camper tie downs and frame mounted anchor points. What is a camper tie down? 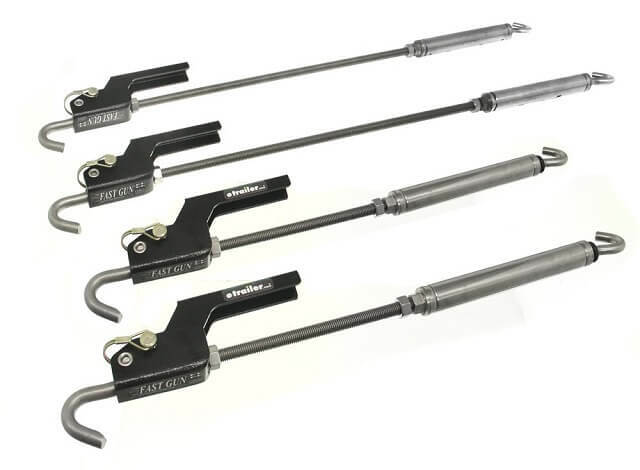 Truck camper tie downs are essentially a stabilizing bar with two long bolts. 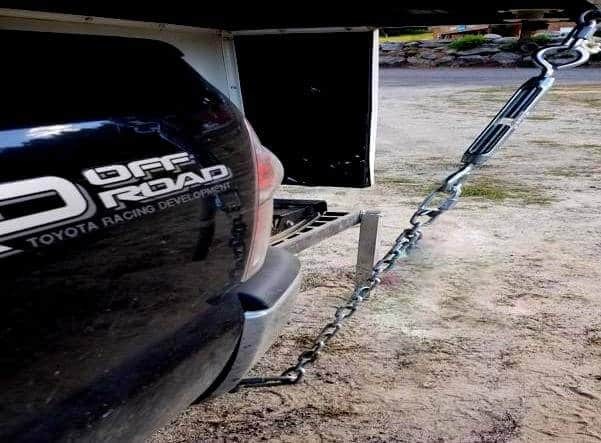 Each with a hook on one end to help distribute the truck camper’s weight on your vehicle. 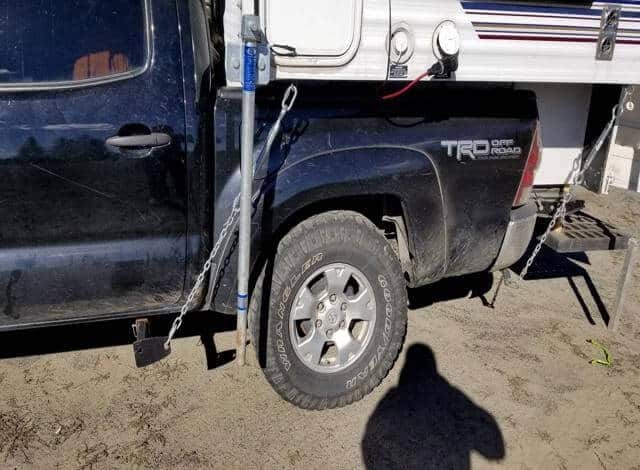 Depending on how much you care about your truck camper or other people you could use rope, ratchet straps even thick heavy wire. 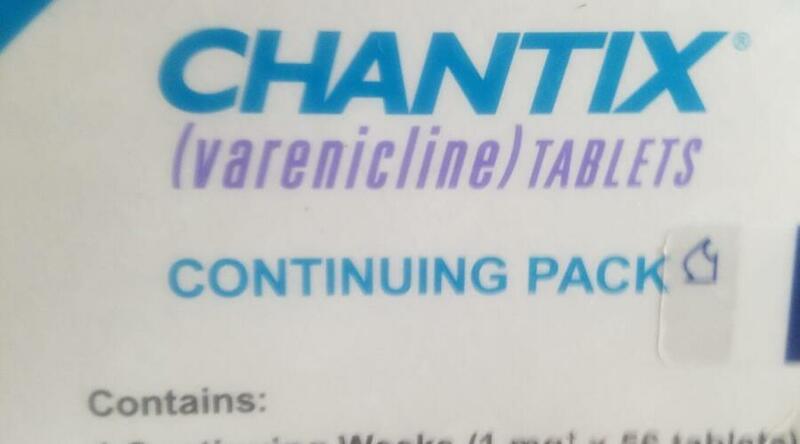 I wouldn’t recommend any of that but ……they are options. So is sandpaper for toilet paper. I won’t judge. 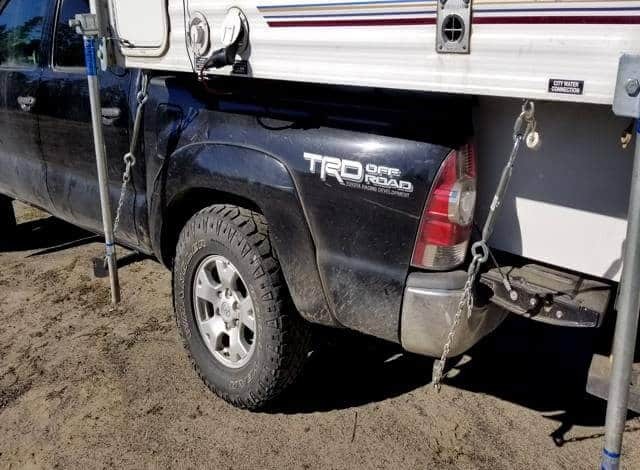 Truck camper tie downs are what connect your slide in truck camper to your truck. Keeping it from moving around or in the worst case scenario keep it from sliding off your truck. The more secure the better. Other drivers would be quite thankful I’m guessing. Unless you just robbed a bank and it’s apart of your getaway plan than by all means do what you do. 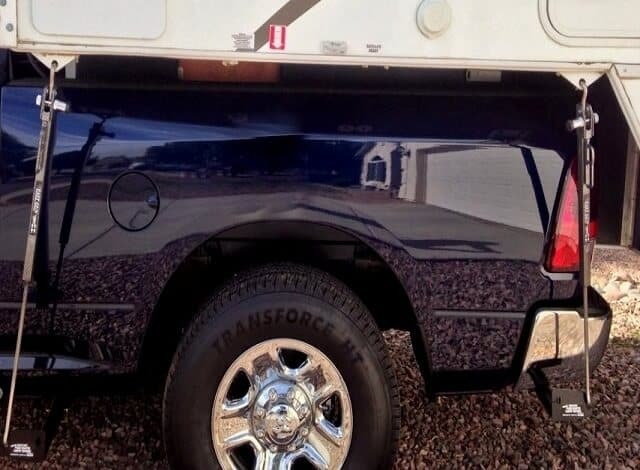 For the rest of us we simply just want to secure our cabover camper to our vehicle. I know not as exciting as robbing banks, but some of us are a bit more practical than others I suppose. 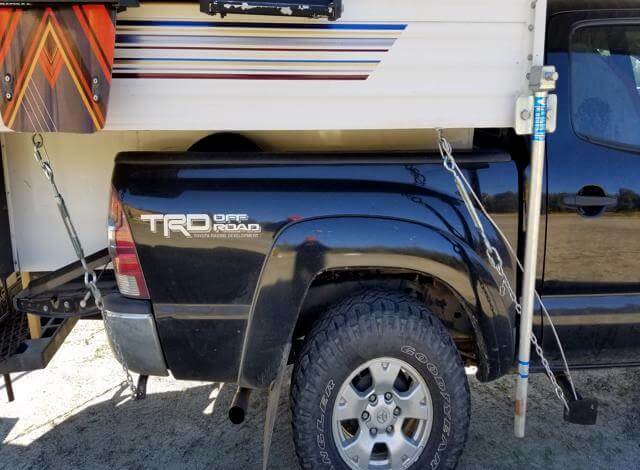 own camper tie downs and torklift frame mounted anchor points. A bit intimidated at first I’ll admit, and rightly so since I’ve never done it before. But before making your camper tie downs. 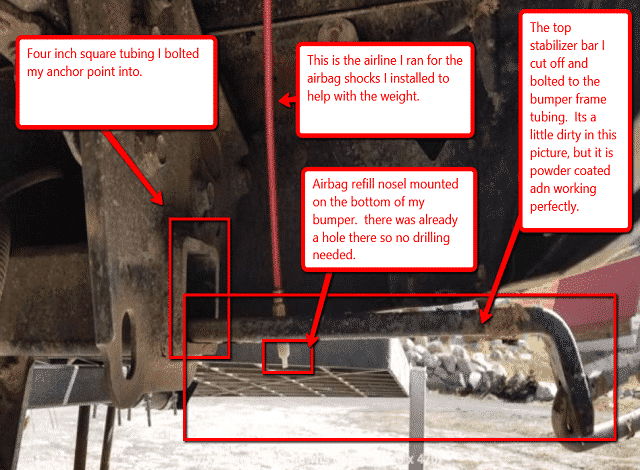 I would recommend installing your torklift frame mounted truck tie down anchor points first. This way you know how much chain you need for each truck tie down. Allowing mounting options versus forcing your options based on chain length. Tacoma, I chose to do torklift frame mounts instead of truck bedpost mounts. Mainly because my Tacoma’s truck bed is made out of fiberglass. Didn’t know that before I bought a truck camper. Yes, I’m a guy that figures it out as I go instead of planning and researching before action. Which usually teaches me more than I care to know about the project at hand. 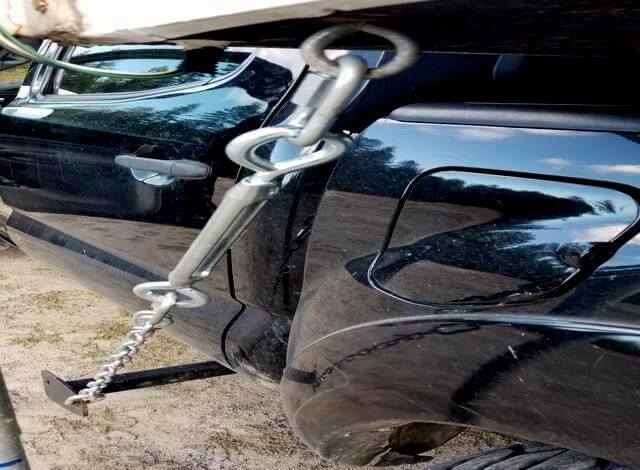 opens up the driver’s side back passenger door it sometimes clips the chain on my truck tie down. Thankfully majority of the time my only passenger is Kota and he’s quick sometimes too quick to jump out the driver’s door. I can live with this mistake because it barely grazes the door. To create my Toyota torklift frame mounted anchor points I found a pair of used Chevy torklift frame mounts off of craigslist for less than $50. I am not delusional! I know they won’t fit my Tacoma, but I knew if I got creative enough I could make them work. The pair I found was designed to be side mounted on a Chevy Silverado frame. With the stabilizing bar bolted to the top of the frame. Quite an efficient design. 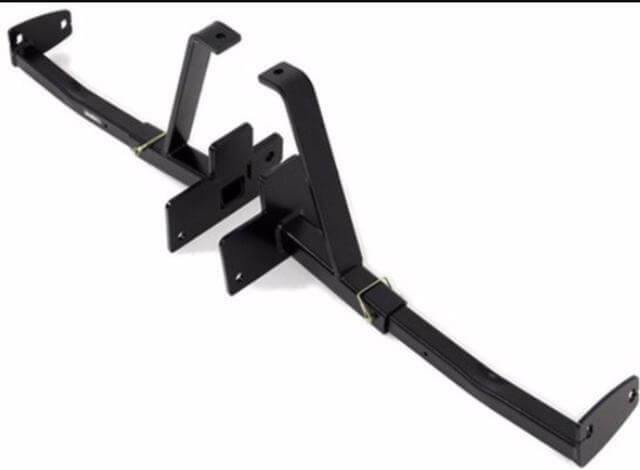 Except I didn’t have a Chevy, and I didn’t want to pay $700 for the Toyota torklift frame mounted anchor design. How did I make it work? I cut off the stabilizer bar and drilled a ½” hole into one end of it because the other end already had a ½” hole from the manufacturer. Then I cut off all the extra wings & flaps that were designed to align on holes in a Chevy frame to make it easier to bolt on. Leaving me with a mounting plate that conveniently already had a piece of 2″ square tubing welded to it. All I needed now was to choose between drilling holes into my Tacoma frame or weld it on. Since my brother is a mechanic and has a welder I chose to weld it on thinking that was stronger & more durable. The stabilizer bar I bolted on with a grade 8 bolt. I mounted inside of the 4-inch square tubing bumper frame of my Tacoma so that it sticks out just enough to hook into. Barely even noticeable. See photos above. What gave me the confidence to move forward in building my own camper tie downs was four eye bolts. 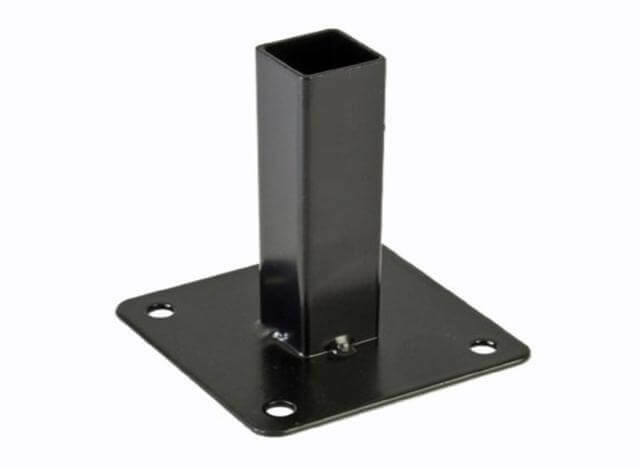 The manufacturers designed anchor points for securing my slide in truck camper to my Toyota Tacoma is one vertical eye bolt in each corner of the SunLite 690 I purchased this summer. Not a grade 8 bolt(yellow bolts) or a massive “D-ring” welded to the frame. 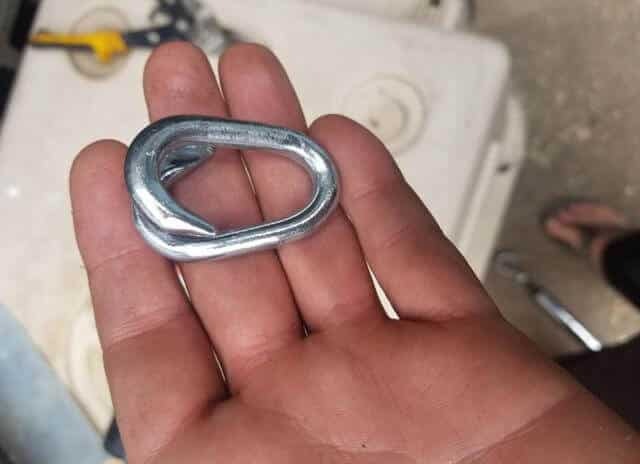 Simply your everyday $3 eyebolt that most people use as a latching lock on their fence gate to the backyard. 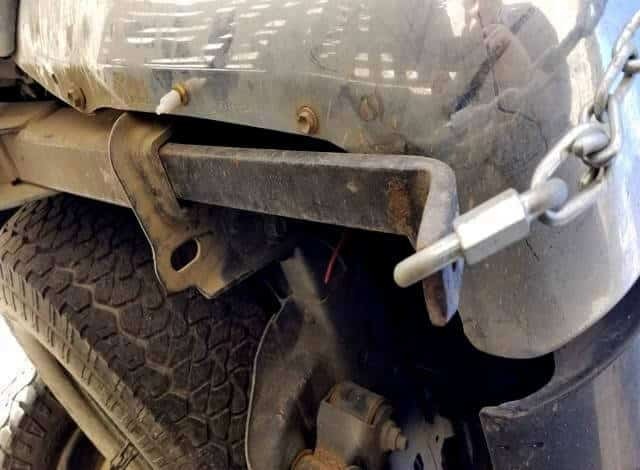 If that’s the level of concern from the manufacturer for anchor points than bust out the speaker wire and tie this thing to my truck and lets get on with it, right? My grandma’s got a ball of yarn she’s not using either. We could really secure this thing, huh? Sheeeesh. My point being I don’t have to construct something as stable as a 40 story skyscraper in downtown NY. Something to cut the chain: bolt cutter($20), grinder($80), Sawzall($100), hacksaw($20)-you can probably find any of these at a pawn shop for less than $20. 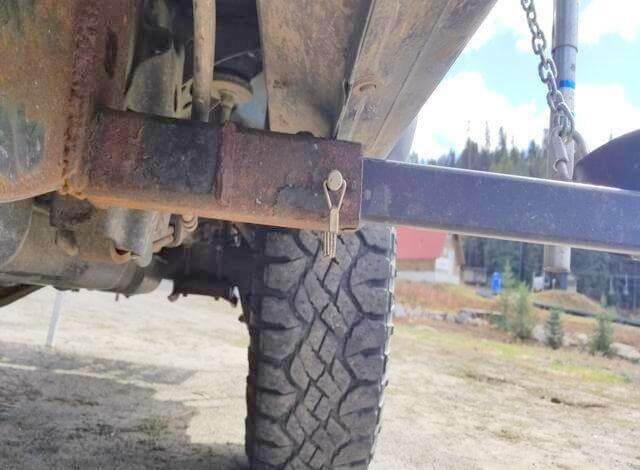 This is all you’re going to need to make your own DIY truck camper tie downs. 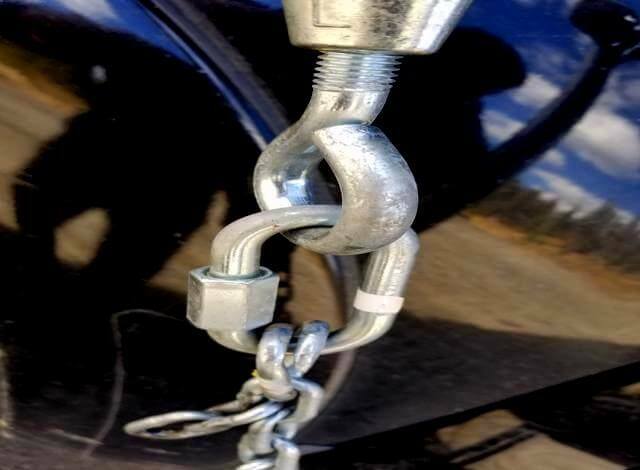 The chainlink that I bought wasn’t big enough for the D-rings to slide into. Smaller D-rings didn’t have a big enough gap for the turnbuckles I bought to fit either. 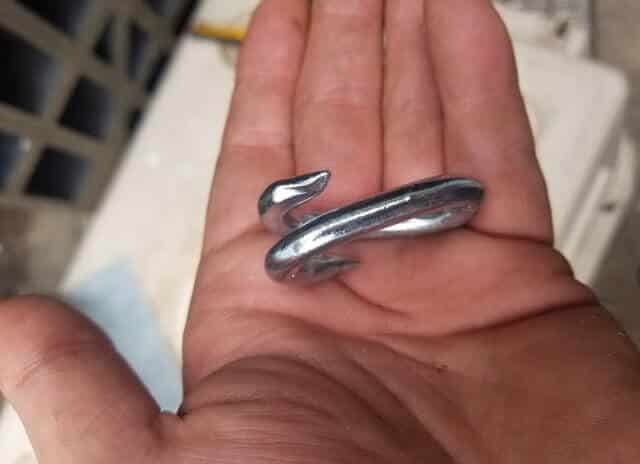 So instead of buying more expensive and heavier duty chainlink, I opted for chain repair links. At only thirty cents a piece, it wasn’t that big of a screwup. Which is basically just a single chain link. You slide in where needed and then clamp it closed with a vice grips or set of pliers. Once I had my frame mounted anchor points in place I simply eyeballed the length of chain I needed. To make them as adjustable as possible I unscrewed the turnbuckles to their last thread so they were fully expanded. Creating 8 inches of adjustment tightening if need be. The first couple of times I did it with the turnbuckles completely collapsed. 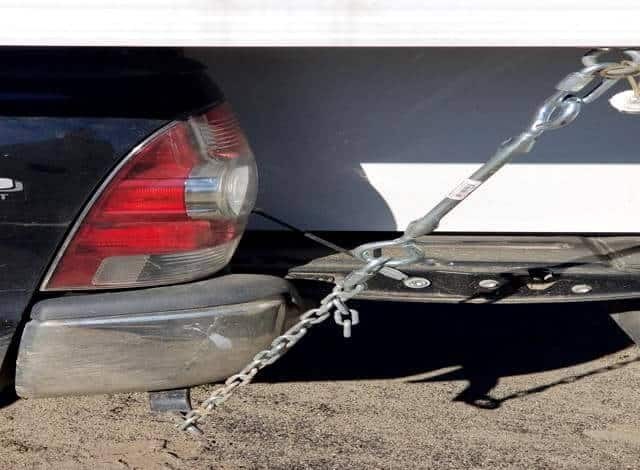 This gave me no room to tighten my homemade camper tie downs. So learn from my stupidity. 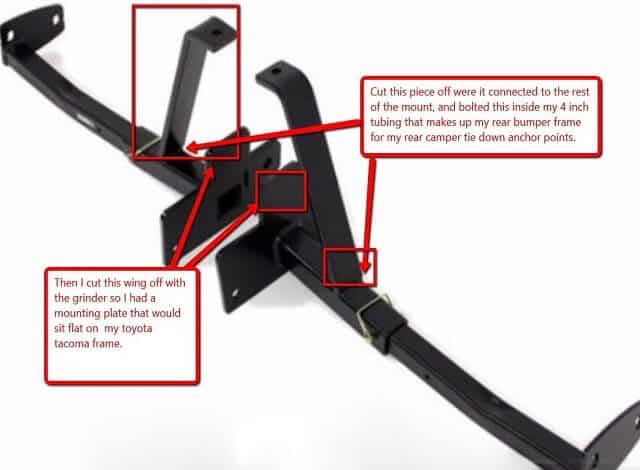 In my case with the turnbuckles fully expanded I only needed about 2 feet of chain to go from the turnbuckle to the torklift frame mounting anchor point. I added a repair link to either side of the 2-foot long chain sections. Then I added my “D-rings” onto the repair link. After that, I connected the “D-rings to the torklift frame mounting anchor points and screwed the nut closed. Repeating this same step with the “D-rings” to the turnbuckles. A couple hours later I had DIY truck camper tie downs & torklift frame mounted anchor points for less than the cost of one truck camper jack. 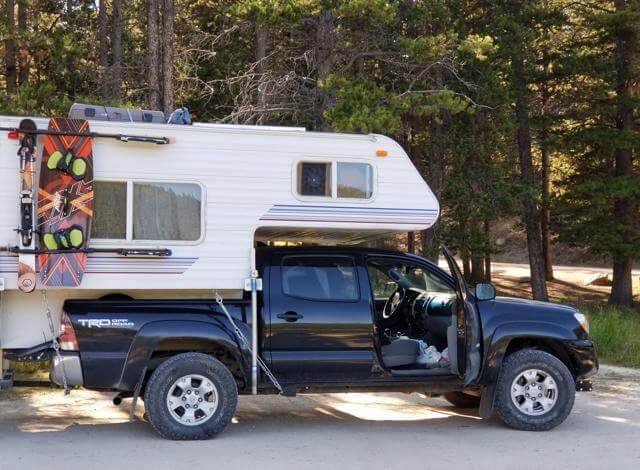 To skip this whole step you can always just bolt your slidein truck camper to your truck bed. 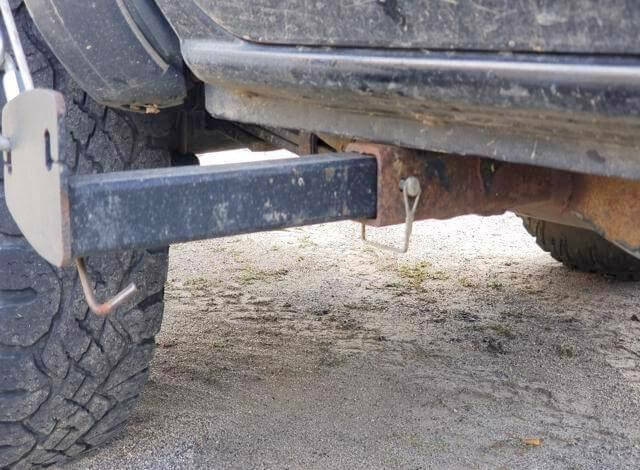 Take out the 4 bolts holding down your truck bed and swap them for longer and stronger bolts. I almost chose to do this method with massive washers to help distribute the stress. 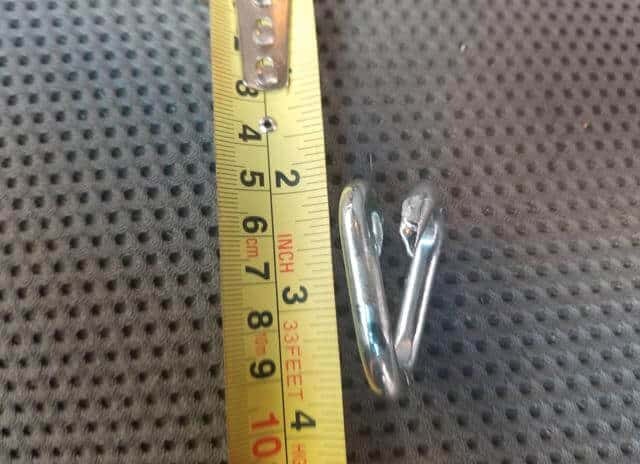 The bolts I was going to use where $28/piece and would have created a little bit more work every time I wanted to take the cabover camper off the truck. I’m happy with how everything turned out. My test trip with my new lightweight truck camper spanned 1,500 mountainous miles for 21 days and no issues. I’ve been up and over at least 50 mountain passes. More waffle board dirt roads than most people do in a year. Its been fantastic! My SunLite 690 weighs 750 pounds dry and took some more creative engineering to make it fit in the bed of my Toyota Tacoma. You can read about that by clicking on the link below, but I couldn’t be happier. I’ve been free camping for the last 21 days in Red Lodge, Gardiner, Yellowstone, Jackson Hole, McCall, Sandpoint, Whitefish, Glacier & everywhere in between. The freedom to roam or stay put has been exhilarating. Kota & I have slept next rivers, mountains & waterfalls we wouldn’t have had the option with my 30-foot KZ Sportsman travel trailer. All in all, I saved thousands with my DIY Truck Camper Tie Downs, and I’m getting used to the smaller living quarters with each passing day. I’ve learned a lot this summer about truck campers & DIY RV projects. 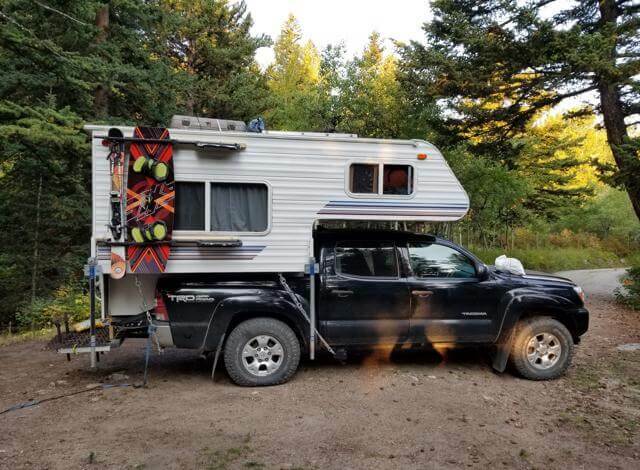 Want to know how I made a Toyota Tacoma Truck Camper in under an hour? Need to replace your RV Tires? Things to consider when buying an RV. If you have any questions, concerns or ideas please leave them in the comments below. 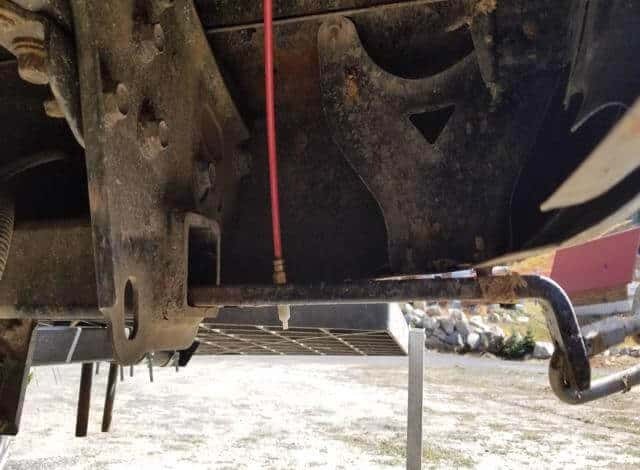 This way everyone can learn how to save thousands of dollars making their own cheap truck camper tie downs. Also be sure to check the home page for related blog posts. I am also currently writing a post on the most scenic drive in America. 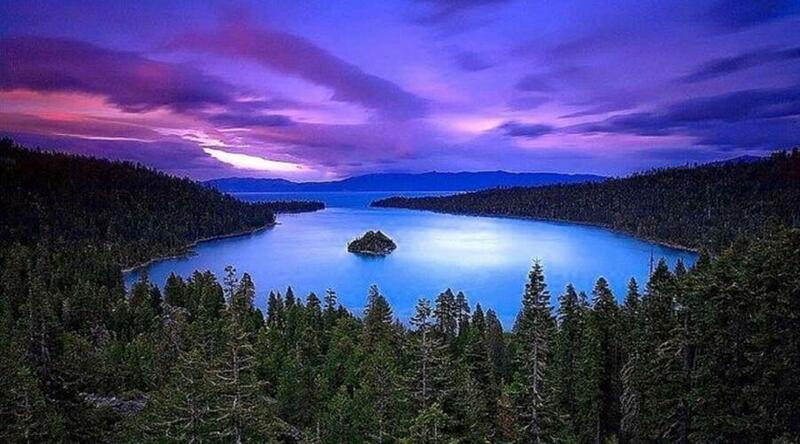 1,500 miles of pure beauty that will have you stopping every 5 feet to take another photo. I’ve been traveling since 1998 and I stopped every 3 feet to take a photo. Or subscribe below to get notified as soon as I publish. The photos alone will be amazing and they barely do it justice. Thanks again for stopping by my travel blog. In case you made it this far I’ll give you another tip. There’s always someone on craigslist that’s willing to build, weld or construct your dreams for less than store prices. Get creative & get traveling! If your on Pinterest dont forget to Pin this! Best onboard generator for travel trailer for less than $200! Just Bought A Travel Trailer What Do I Need? Complete Camper Must Haves & Essential RV Accessories Guide! Nice article. Can’t tell when it was posted, but still seems relevant. I waited for years to find a used set of Torklift mounts for my truck. Definitely made a huge difference in how well it carried the camper. Airbags too!! Curious about the side board rack you’re showing in those pics. Been trying to avoid adding anything to the roof and don’t like the idea of a hitch mount unless I have to. To answer your question about the board rack. Its an old ski rack I picked up from a buddy in 2008. I didn’t mount the ski rack directly to the camper because my ski bindings would have been hitting the camper wall the whole time. So I built a 4 inch wood spacer out of 1″x2″ wood strips to mount the ski rack too. 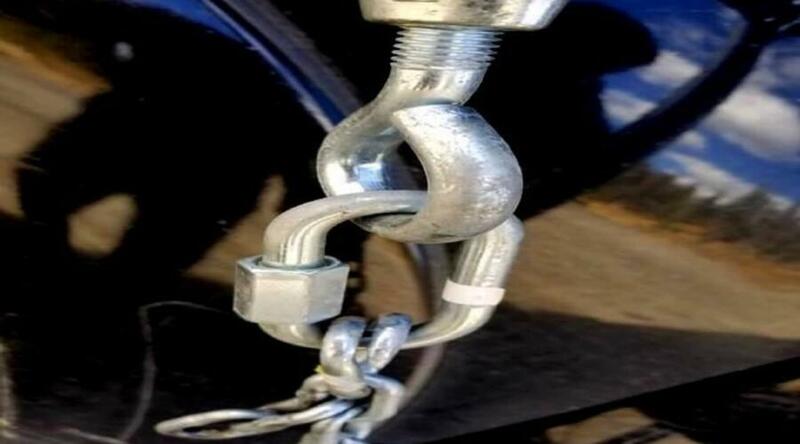 From there I took the easy route and simply fastened it to my truck camper with these UBolts. I put the arc on the outside so it would pinch down on the ski rack. And placed them so the bolt, plate & nuts would pop through the camper in a cupboard to help hide them. Pretty happy about my setup. One tip I would strongly recommend if you decide to run with ski racks as well. Is to make sure the top rack key lock is easily accessible, and magnetic spare key holders are wonderful. I’ve also had a quite a few people ask me about my snowboard (hahaha) rack. Its a wakeboard, but I’ve stopped correcting people and just showed them how I did it. I also installed these airbags too. Took a little trial and error to figure out how much air to put in them, but they make a world of difference. I really didn’t want to buy them, but I’m glad I got talked into it. Without them the back end is squirley and the front end is touchy. Without the airbags and tie downs I’d be hating truck camper life. 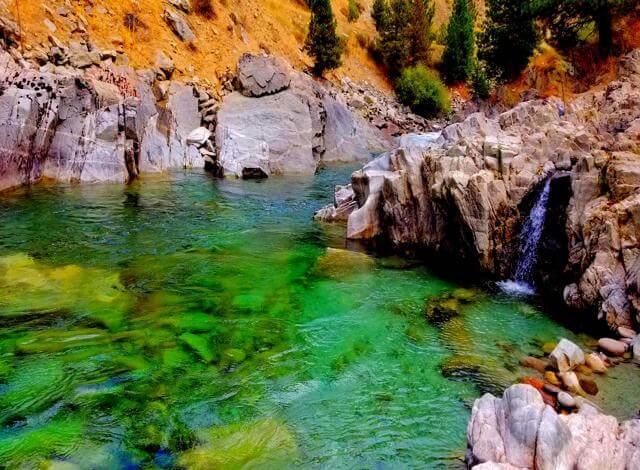 Thanks again for visiting my travel blog. I’ve been travelling the world since 1998 by way of iconic vacation destinations sprinkled around the globe. I started out visiting the big cities. Then I bought a 1-way to ticket to join the French Foreign Legion which landed me on a zipline in Alaska. I’ve visited the Temples of Thailand, the Beaches of Brazil, the Kiwis of New Zealand & the icons of America. 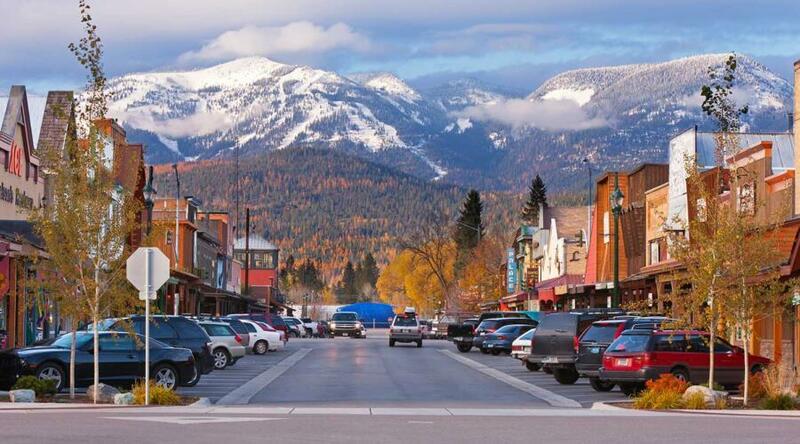 Since 2008 I’ve been traveling to a new tourist town every summer, and a new ski resort every winter. AOWANDERS is my way to give back to the community of travelers, globetrotters, nomads & vagabonds. Help you plan your adventures, fund your travels, share my tales & ultimately help you live your dreams. Where to go, when to go & what to do. Sign up now for free accommodations, money saving tips, adventure ideas & creative ways to fund your travels.